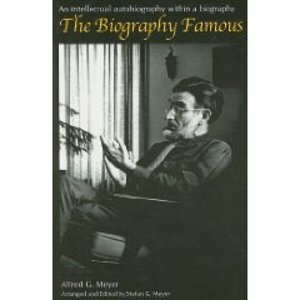 Toward the end of a distinguished scholarly career in the field of political science, Alfred G. Meyer wrote two books that were never published. The first was a biography of Friedrich Engels and the second was a memoir that looked back on his life and career. The reaction of prospective publishers to the Engels biography was that it was neither fish nor fowl not rigorous enough from a scholarly point of view, yet too academic to appeal to a general readership. The memoir also posed similar problems. It was lively and entertaining, full of sharply drawn, humorous observations of the people he met during his life, yet overall dominated by his intellectual curiosity. It was an intellectual autobiography in brief, a document that was illuminating to his friends and associates, but that did not quite give an account of the true stirrings that animated his nature. This volume merges the two manuscripts, by taking the chapters of his memoir that focused on his career as a political scientist and juxtaposing them with the Engels biography. The result is a radically new experiment in portraiture an intellectual self-portrait of a scholar rendered by means of the picture he drew of his historical subject.